Like all adaptations of books I liked I'm not sure I liked the movies as much, but I am biased and have a hard time appreciating the film on its own merits as a different work than the novel. But that's my personal bias. I thought it was a great film and the theme of death and violence runs throughout. 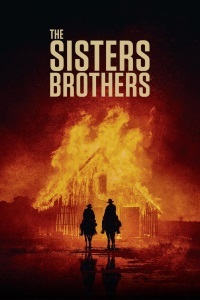 In the end (trying to avoid a spoiler) the violence of the Sisters Brothers proves itself irrelevant as in the end death comes for us all regardless. The performances were very good but I think I was more taken by the west coast scenery of mountains and high plains. Fair warning to those who haven't seen it yet that there are some body-horror elements.